Italy must do more to protect women from violence and urgently address the underlying structural causes of gender inequality and discrimination, an independent United Nations human rights expert warned after visiting the country.Rashida Manjoo, the UN Special Rapporteur on violence against women, its causes and consequences, wrapped up a 12-day visit to the Mediterranean country during which she focused on instances of violence against women in four specific areas – the home, the community, violence perpetrated or condoned by the state, and violence in the transnational context.During the visit, Ms. Manjoo met survivors of domestic violence in various anti-violence shelters located in the country’s major cities, such as Rome, Milan, Bologna and Naples. Her trip also included stops in camps for Roma and Sinti communities as well as detention centres for irregular migrants. “Most manifestations of violence are under-reported in the context of a family-oriented and patriarchal society where domestic violence is not always perceived as a crime, there is economic dependency, and there are perceptions that the state response to such complaints will not be appropriate or helpful,” Ms. Manjoo noted. She also added that a fragmented legal framework, inadequate investigation of and punishment for perpetrators, and poor compensation for women victims of violence, also contributes to the silencing and invisibility surrounding this issue as do systemic, structural inequalities and discrimination which ultimately facilitate violence against women. 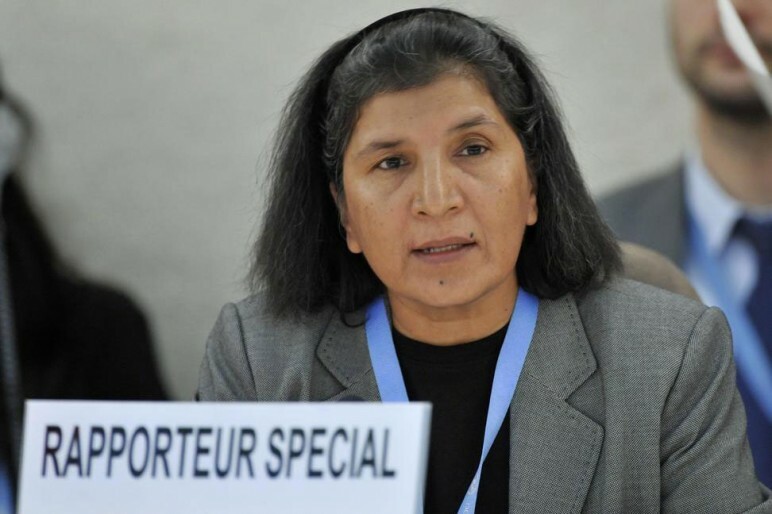 Despite the multiple forms of violence and discrimination faced by minority women in both private and public sectors, Ms. Manjoo emphasized that Italy retains a vast amount of expertise regarding the provision of legal, social, psychological and economic assistance to women victims of violence and that such a framework should not be lost in the tenuous economic climate. “I call on all relevant stakeholders to take on the responsibility at this crucial time to promote human rights for all, and most importantly, to keep the issue of violence against women on the national agenda,” said Ms. Manjoo. The expert will present the findings of her mission to Italy at the June 2012 session of the UN Human Rights Council in Geneva, Switzerland.